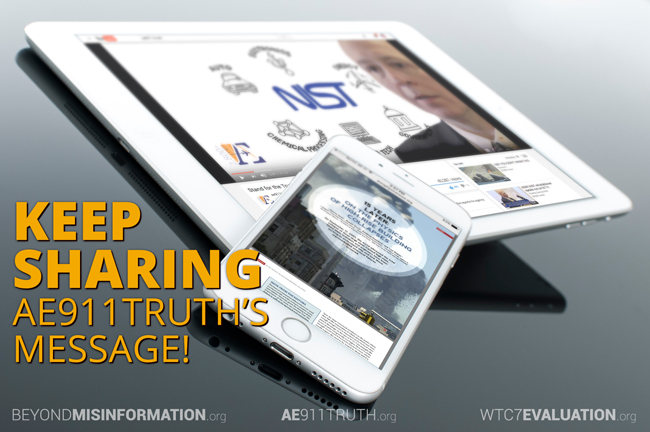 In the past seven months, AE911Truth has published two educational tools that are reaching large audiences and proving to be particularly effective with “on-the-fencers” and “newcomers” to the evidence of controlled demolition on 9/11. 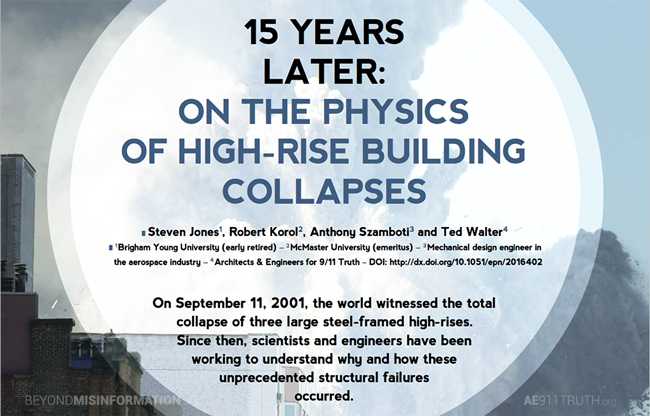 The first was “15 years later: On the physics of high-rise building collapses.” This feature article by Steven Jones, Robert Korol, Tony Szamboti, and Ted Walter appeared in the August 2016 issue of Europhysics News, which is the magazine of the European Physical Society. Last month, the article surpassed a milestone of 500,000 views — and it continues to attract between 500 and 1,000 readers each day. 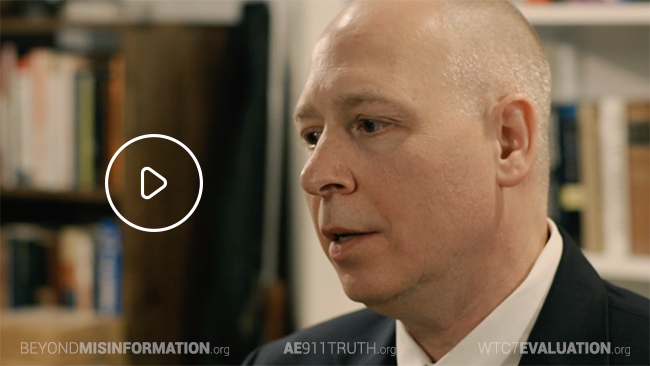 The second was “Stand for the Truth: A Government Researcher Speaks Out.” Released two weeks ago, this half-hour interview with Peter Michael Ketcham — a former employee of NIST — has been seen nearly 50,000 times on Facebook and 40,000 times on YouTube. We strongly encourage you to keep sharing these pieces with your friends, family, and colleagues. As a recent release, the interview with Peter Michael Ketcham especially needs your help in order to reach the massive audience it deserves. Thanks for all that you do to help raise awareness of the need for a new World Trade Center investigation!